The Bavarian has announced that they launched a new store in Westfield Coomera last October 11. Its opening event was complemented with various activities that are said to be identical to Germany’s annual Oktoberfest such as stein holding, sausage eating competition, pork knuckle eating and non-alcoholic beer chugging. The German chain, operated by Rockpool Dining Group, will continue to serve its menu offerings for its latest store such as schnitzel, half roast chicken, chips and slaw as well as 17 kinds of beers. 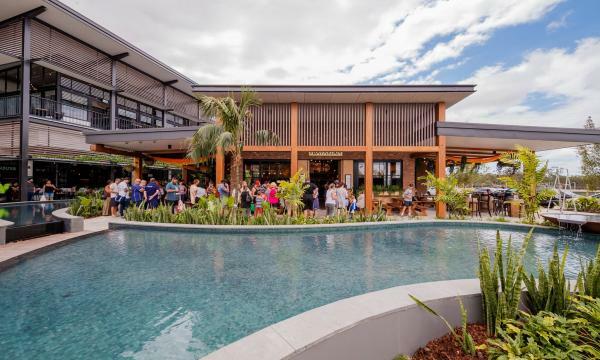 “Our Bavarian restaurants have a large and loyal following across Queensland and we’re thrilled to bringing another unique, affordable and family-friendly destination to the Gold Coast,” Thomas Pash, Rockpool Dining Group’s CEO, said.